The GeneratePress is one of those few themes that have created a huge impact among marketers in recent times. Currently, it is very popular among web designers and webmasters from all over the world. Considering its stunning popularity, I could not stop myself from trying it. 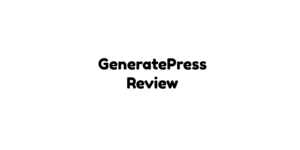 I actually bought a GeneratePress Premium version and tried creating a demo WordPress website and let's see what's inside this GeneratePress review. The design was simply outstanding and honestly, I never expected I could design a website to such an extent with utmost simplicity. It was great fun to work with the various options and customize it. The GeneratePress is a free lightweight WordPress theme with over 100,000 active websites developed by Tom Usborne. Tom Usborne had been a freelance web designer and developer in the past with over 10 years of experience in building WordPress websites for various small and medium-sized businesses. The theme has been developed with a view to handle any website project or in other words, design any type of website. It aims to offer decent space for customization. Also, it aims to help developers create captivating web designs in a very short time with its simple yet powerful options. Apart from that, users can use its premium plugin for extended functionality. Ever since its inception, the GeneratePress WordPress themes has very a very effective and over the years, it is one of the most extensively used WordPress themes available. A lot of credit actually goes to its simplicity and it doesn’t really take long for a user to get along with it. Apart from its simple and easy to use interface, it offers a lot of powerful options and a lot of websites actually owes a lot to this. GeneratePress is secure and stable as it uses the latest and most stable coding standards. while the code to be really clean and up to the mark. 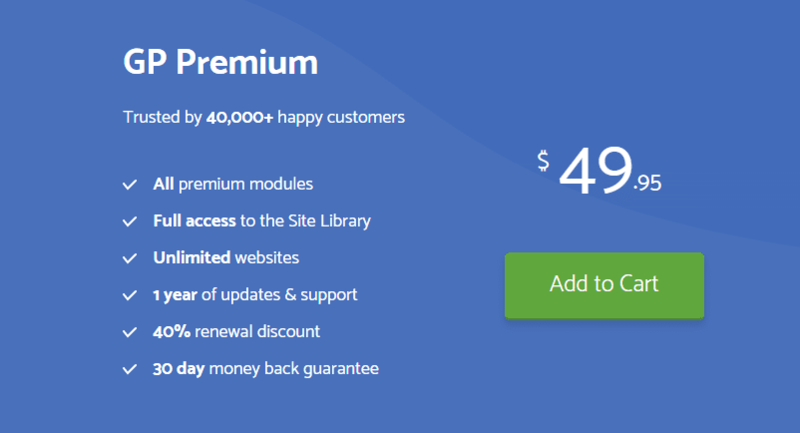 Extremely lightweight and even a default WordPress installed with less than 30kb in size. Hence, you can rest assured that the speed of your site is never going to be hampered by it. Doesn't include jQuery and that way, there will be no more render blocking issues. The GeneratePress is absolutely SEO friendly since built with validated HTML, built in schema.org structured data and lightning-fast load times. Accessibility-ready and is based on WCAG 2.0 standards so that no one is left out when browsing your website. Users can adjust the colors and typography directly in the Customizer and with the Premium version, users can have more styling options. Also, users can have a layout control over the layout of the website on desktop and mobile. Also, users can adjust the layout aspects like padding, margins, sidebar layouts and more. GeneratePress can be used with any of your favorite drag and drop themes builders using the per page layout controls as it is compatible with most of the page builders. Also, the theme will not come in the way of your favorite WordPress plugins and all your favorite plugins will get along smoothly with it. The extended list of filters and hooks helps you extend something that doesn’t have an option. Fully supports RTL languages and also, it can be translated into over 20 languages. Here are some of the premium available once you get a premium account. Although there is no denying the fact that even the free version of GeneratePress is quite powerful, buying the GeneratePress Premium version can offer you more space for creativity and innovation with more powerful options to use. While I wrote this GeneratePress Review, you can get the Premium version by paying a onetime subscription of $49.95. Apart from that, you will also get a renewal discount of 40%. Also, it comes with a 30 days money back guarantee and you can cancel your account within 30 days of your purchase to get your full amount refunded back just in case you don’t like it or find it useful. Although there is no denying the fact that GeneratePress offers a very clean and easy to use interface, there are times when you may still need some assistance. This is the reason that GeneratePress offers very dedicated support in the form of forum and knowledge base. Over the years, it has done an excellent job and maintains a very good track record. 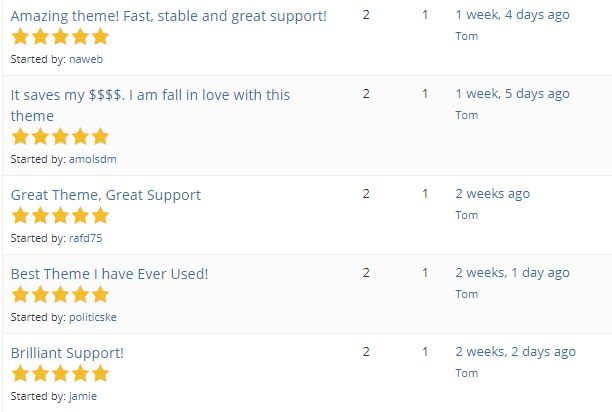 GeneratePress offers you a very active Support forum and a very comprehensive knowledge base. The support team is pretty fast and knowledgeable to resolve the queries and technical difficulties of the users. I'll update this review with any latest happenings for support, I'll update it further. However, with the Premium GeneratePress, you can have priority Support which means you can expect an even quicker response to your queries and issues than the basic support. GeneratePress is a perfect theme for all type of users and all kinds of website. Also, the theme is pretty lightweight and has a clean code. This helps it to load incredibly fast. This eventually makes it pretty SEO friendly. Most importantly, it can be customized to a very large extent in a very short period. Also, it is highly compatible with page builders like I used in this GenreatePress Review. No matter you are a web designer or a webmaster, you will require very less time and also find it pretty simple to create stunning web designs. If not this, you can check similar themes like GeneratePress are Astra (Review) and OceanWP(Review) and in fact, there is a comparison post between these three. For those who are extremely passionate about the design aspect, it is not a bad idea to buy the Premium version as it will offer you a whole lot of other useful options to accentuate your design even further.